So you’re still using a dated Samsung Galaxy S4 at a time when the Samsung Galaxy S7 has just launched. You’re about to make a major change, so you’re hoping to resell your S4 to recover some of the amount you paid for it. So how about doing your due diligence before the next owner receives your soon-to-be former “baby”? Maybe you want to keep your S4 as a backup phone. You’re thinking of whether to buy a battery, maybe you’re thinking of resetting the phone to start afresh. Maybe your phone has died, and you are thinking about getting a refurbished or a used phone.But is its hardware still up to scratch? Well, is it? Maybe it’s time you ran a few tests to check the phone hardware. We suggest using these 5 phone testing apps, which have rave reviews on Google Play. Phone Doctor Plus by iDea Mobile Tech Inc. 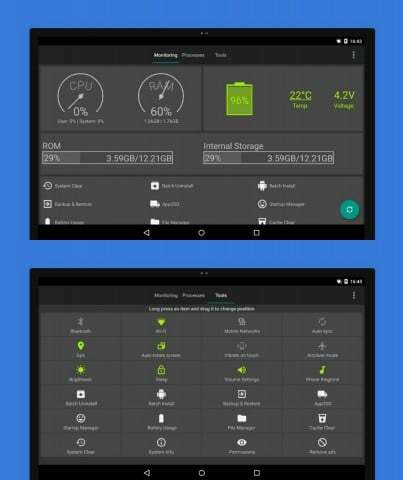 This app has a slick, even pretty interface, and not only checks for hardware integrity, but will also help you conserve battery life. It also serves as a network checker, so if you’re having issues with surfing, Phone Doctor Plus will also help you pinpoint the issue so you can figure out why you can’t browse websites. With a Google Play rating of nearly 5 Stars, this tool is an app worth downloading. A highly-rated app, at nearly five stars just like Phone Doctor Plus, this app is more of a hardware checker rather than a one-stop maintenance app, though. However, one reviewer has stated that they’ve been able to save themselves from a bad buy. Another reviewer has pointed out the easy-to-read layout for the stats presented. 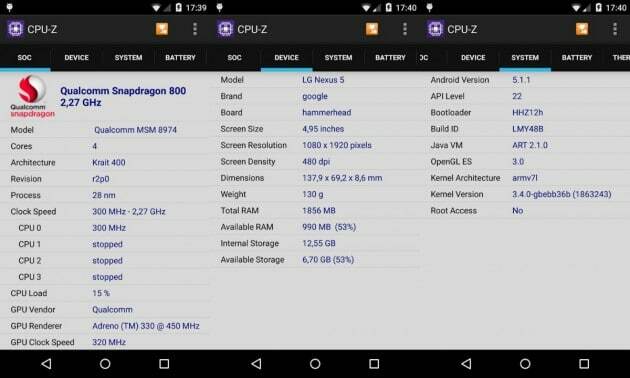 The latter description of CPU-Z’s features is a big plus because it means that the app gives information in an easy-to-digest, quick-look manner. A plus for those who need their phone hardware stats on the fly. Although this app only has 4 stars, it’s still a comprehensive hardware checker tool. 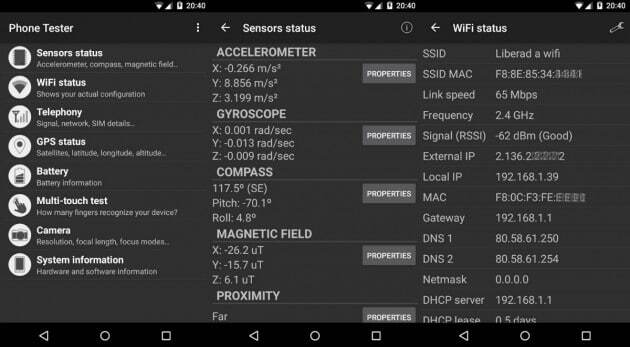 It checks your phone’s components, such as the gyroscope, the proximity and pressure sensors, your battery, and even your camera. Aside from that, Phone Tester also checks WiFi, signal, SIM data, among others. 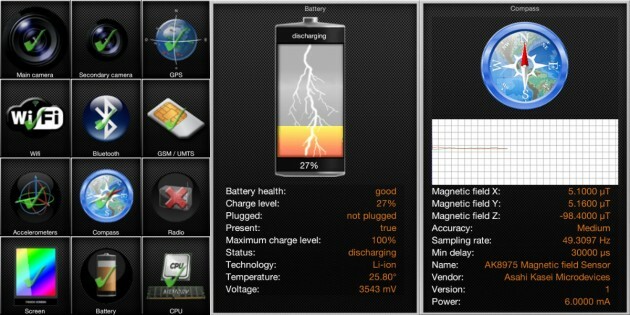 If there are stats that other tools can’t give, give Phone Tester a whirl and get the info you need. One edge that this app has over the other apps is that this provides information for your phone model based on fresh-from-factory standards. So you will be able to tell how far your phone has degraded from its original state. 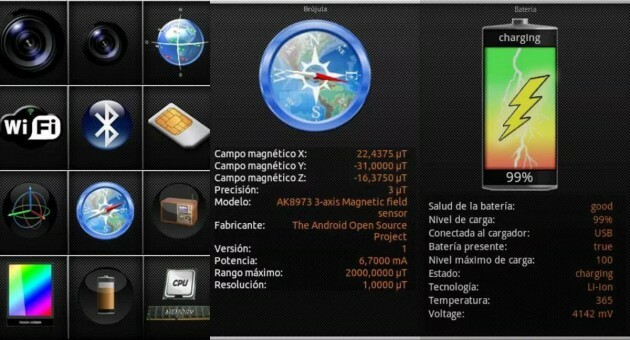 Don’t be daunted by the sample screenshots in Spanish, though. For those from English-speaking countries, the app will download and install in English. 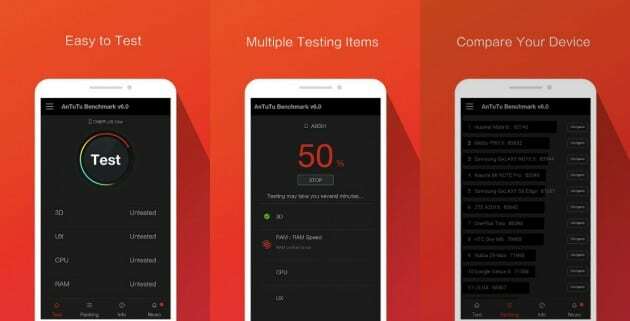 AnTuTu Benchmark is possibly the industry standard in device testing. 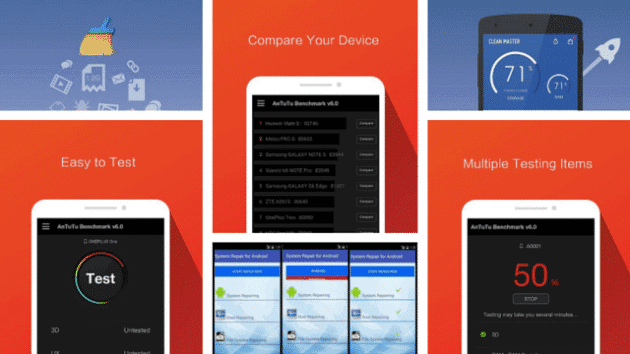 All tech blogs swear by running their review units through AnTuTu, and so should you. Well, not your review units, but when you’re in the market for a new phone or Android device, you should run it through AnTuTu. This way, you’ll be able to see if your new purchase will be up to scratch. Let’s face it, if you love trying out apps, the install/uninstall process could take a toll on your Android device. Thus, regular maintenance is a need. If you need a one-stop shop, this is THE app to use. Not only does it have a system monitor, but it also has a cache cleaner, an app backup facility, and even a mass uninstaller. It has a whole slew of other features, thus, this should be on every single one of your Androids. This is one RAM booster that does the job effectively. 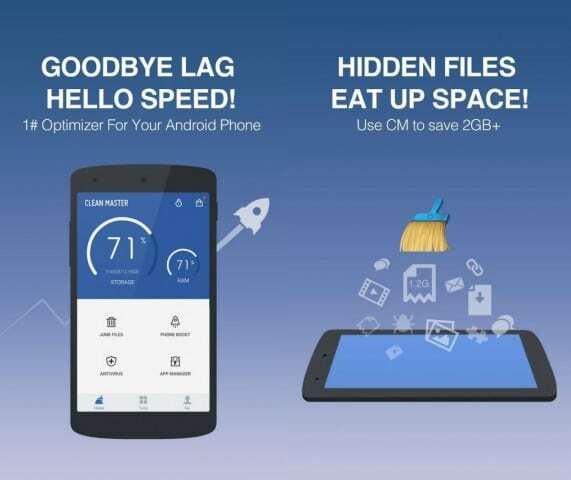 Perfect for older devices and still a crucial addition to newer devices, this app may be able to save you in a jiffy. When you need to open an email but Facebook Messenger, YouTube, Netflix, and projecting your phone onto your TV via Miracast are causing your phone to open your mail in the slowest pace, ever, just hit the Clean Master Boost widget, and your device will be usable again. These apps are worth a look, but they may have dealbreakers. However, they’re both at 4 Stars on Google Play, so those who have downloaded these may have thought these worthwhile. 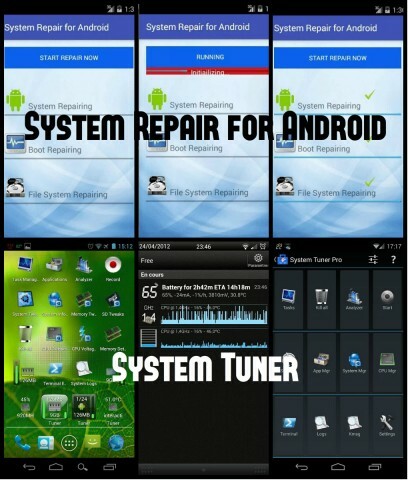 System Repair for Android by C-Gate Software. This one has System, Boot, and File System repair. Its dealbreaker? It’s free for only a week. System Tuner by 3c. 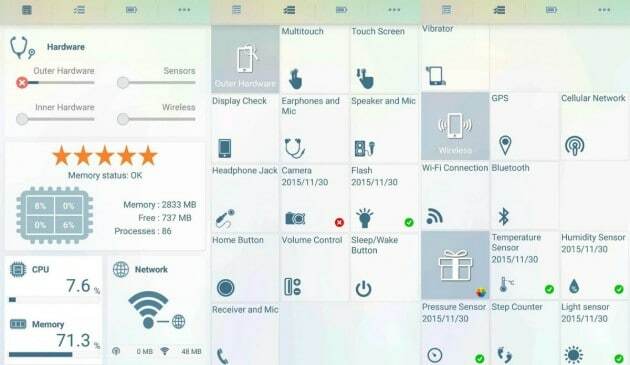 This one is another one-stop-shop similar to Android Assistant, though it has additional functions such as the capacity to read and benchmark SD Cards. It also delivers system and logcat messages, as well as GPU controls and CPU setting restoration. The dealbreaker? Some features may require rooting or a Pro purchase. But, run your phone through any or a few of these apps, clean it up, and you can have a faster-running device in no time. You could put it up for sale or give it to someone in your family who could use an upgrade from the older phone. Or do something nicer by giving it to a stranger who could use a little something to light up their day. After all, the Scientific American has made their case for no longer upgrading one’s phone yearly, no matter how much Samsung may push for it. Just make sure you reset the phone and wipe off your data, add a new battery to play nice for the next owner, and your device may well have a few more years of life left in it.